This review is about a Forex scam called the „Lion Fund“. 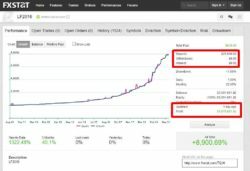 We usually review binary options scams, but this time we had a look at what Forex scammers have to offer, because it is very similar. According to the presentation Lion Fund is a private institutional-quality program using a strategy that is achieving great returns thanks to Forex trading. You can get in this program for free, you just have to pay some performance fees. 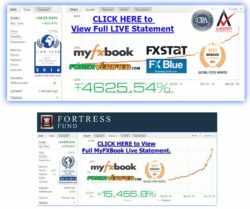 Lion Fund has been around since last year, but under the name of Fortress Fund. It used the same presentation, look at the image on the right. 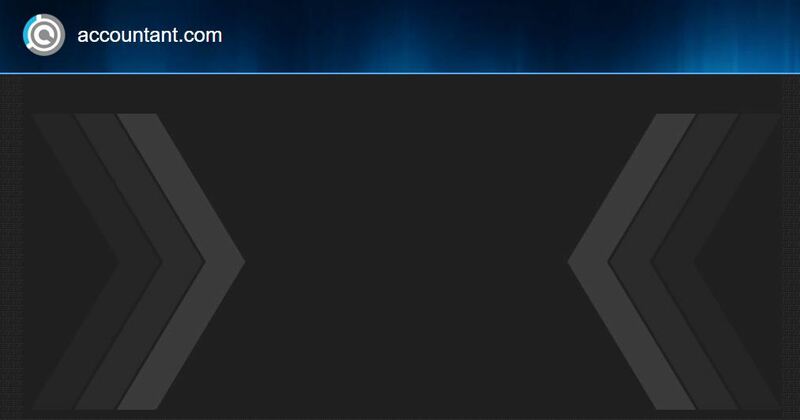 Even now when you use the old Fortress Fund link you are redirected to the Lion Fund. Renaming programs that quickly is usually a proof of scam. The Lion Fund shows an impressive performance, but unfortunately it does not seem real. Think of this, who would turn $25,000 to $2,000,000 in two years and not withdraw a single cent? We have seen a lot of complaints about programs on FX Stat not performing in reality as they should. Other data are missing, why does Lion Fund not provide links to other web sites they mention? 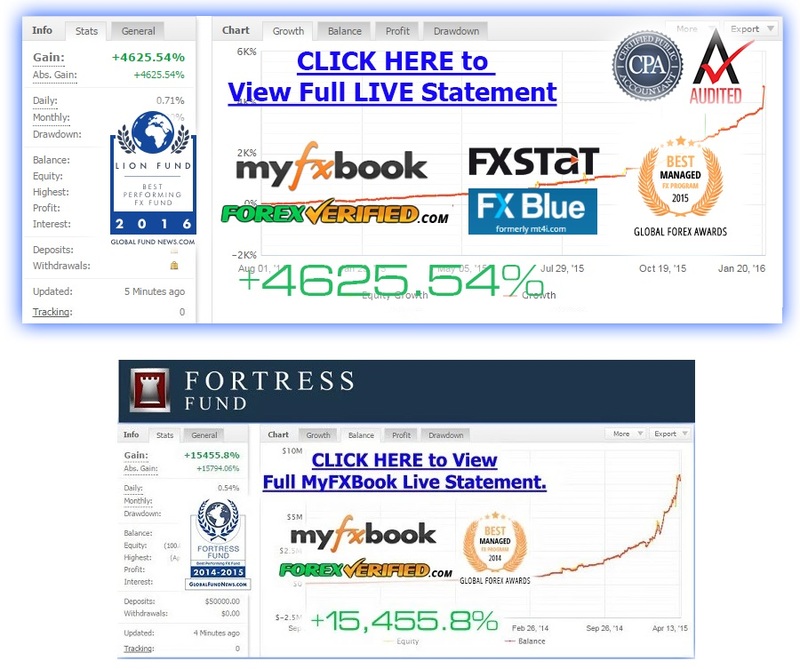 We tried to look for Lion Fund on MyFXbook, FXBlue and ForexVerified with no success. The audit of the Lion Fund’s results has been allegedly made by an accountant called Nuruddin Jassa. We wanted to check using the provided address, but the web site accountant.com is down. 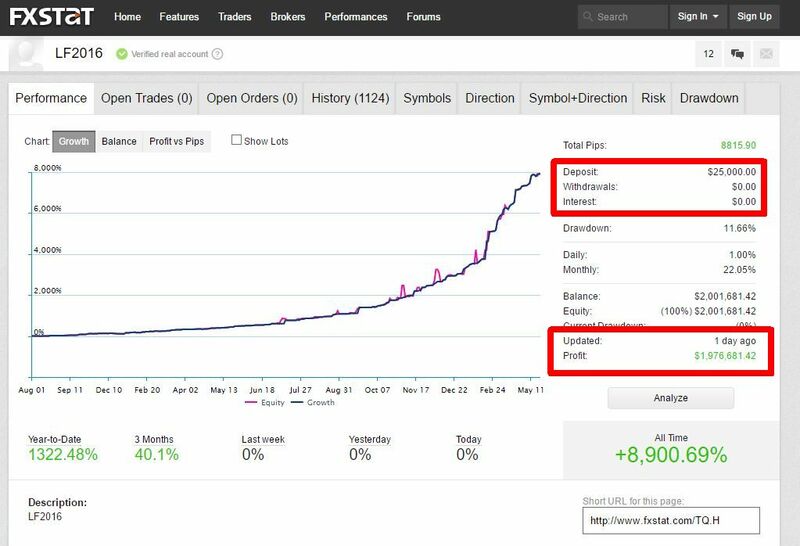 But even if this person looked at the data, we doubt that he is an expert in Metatrader coding to verify that the stats script has not been manipulated. 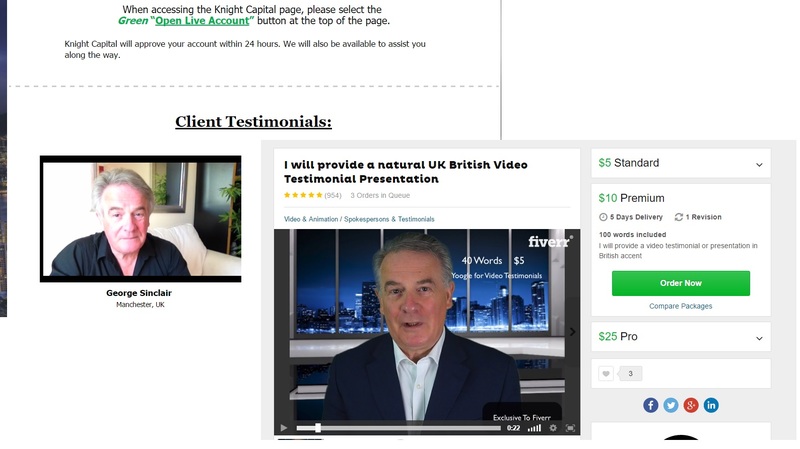 Lion Fund’s testimonials are great fun too, we immediately recognized a famous binary options scammer called George S.
This guy is in fact a Fiver actor (see image), so he will support any scam you pay him for. So Lion Fund testimonials are fake. 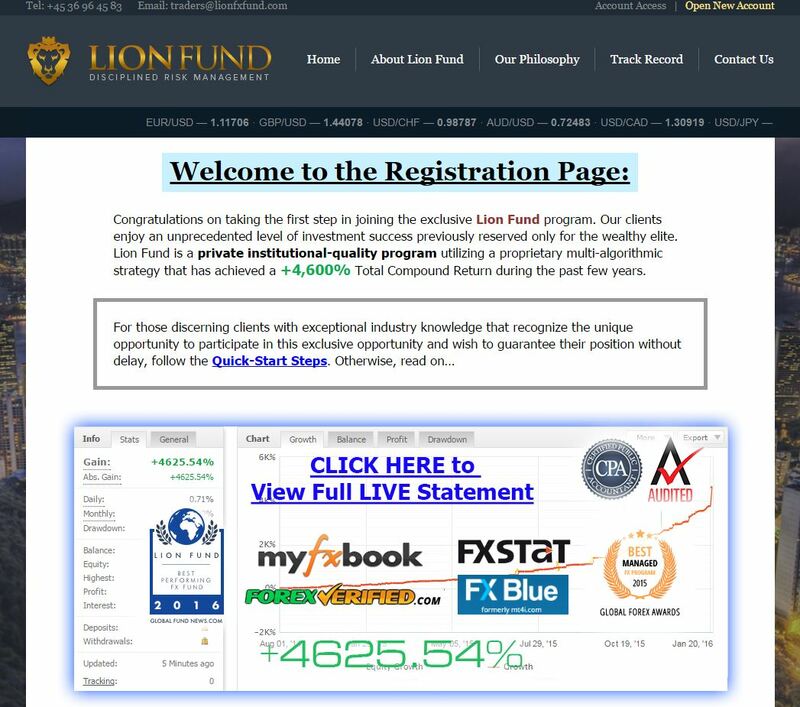 The common thing with binary options scams is that Lion Fund won’t let you use their system unless you deposit money with a broker of their choice. Lion Fund pushes you to Knight Capital, which is an unregulated broker allegedly based in Finland, but we doubt it, because they don’t provide a complete address. So your funds are not insured with this broker. And Knight Capital does not have anything in common with the regulated Knight Capital Group. 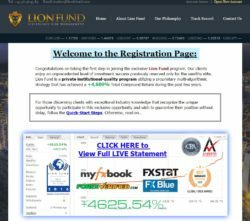 Lion Fund is an obvious scam designed to earn affiliate commission to its authors by pushing you to deposit with an unregulated broker. So stay away from it. 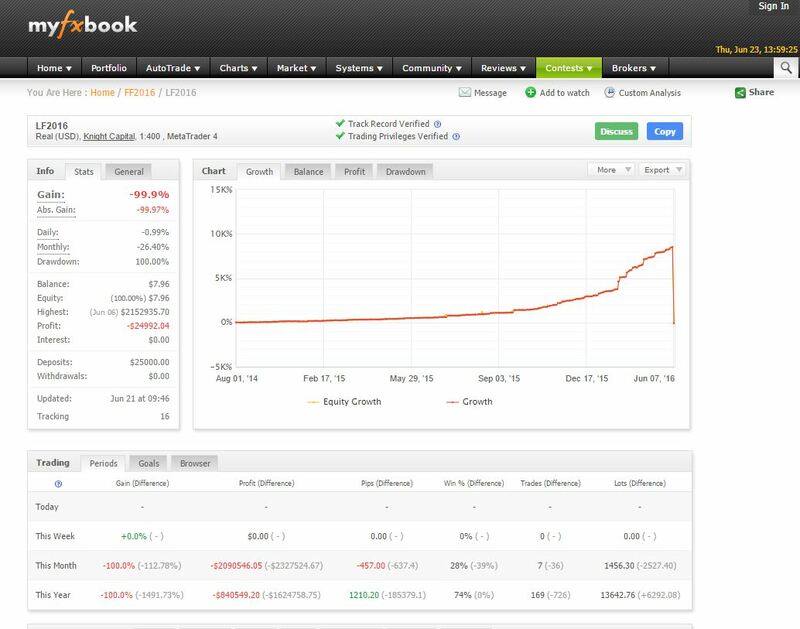 We can only repeat that you should never trade anything with your money unless you were allowed to try it on a free and independent demo account. Seems like I’m also a victim of lionfund and knight capital brokerage. My funds were ok making a profit of 2k since February. However, after hearing some bad reviews about Lion fund, I emailed knightcapitalmarket.com requiring them to cease lionfund from managing my funds. They immediately mentioned it’s no their call and wanted me to contact them which I complied. After writing a email to them, I noticed my trades went erratic. Normal trades were traded at a lot size 0.3 to 0 5 but they were constantly traded at 3.5 on wrong trades and as expected my account got blown. All these happened within the last 3 days incuding weekend. When I called and emailed, this was the email that I got with jargon and sophisticated email from the **** of a manager called Alex.l, so to say that my account is depleted. The email is as follows. I hope you’ve been well since our last correspondence. That being said, and when considering the current issue at hand, it will be necessary to recognize, acknowledge, and understand the fact that we are participating within the most risk-abundant, highly volatile financial market in existence during a time in which we are currently enduring a global economic Depression and underlying climate of unprecedented nature on a worldwide scale since the Great Depression. As such, we have recently experienced inevitably difficult market conditions, based on unprecedented changes for the first time since 2008. This has transpired on a magnified scale, which has catalyzed unfavorable results uncharacteristic of the achievements the Lion Fund Trade Managers contracted to oversee the program, as well as all global asset managers, have experienced within a customary economic climate during ideal market conditions. Within such an atypical world environment, unorthodox losses oftentimes result in ultra-aggressive, overly speculative novelty programs such as Lion Fund. This unfortunate development has combined with your account having experienced severely inopportune market-entry timing in proximity to the initiation of this recent unfavorable markFet state. On that note, I find it very important I address your important concern in comprehensive fashion. The Lion Fund Manager was utilizing a very sophisticated, methodical employment of within client accounts so as to effectively mitigate what otherwise would have been an instantly catastrophic, adverse price movement across all major currency pairs. Of course, it is a physical impossibility to successfully accomplish negative trade eradication without the necessary periodic release of said positions in strategic fashion at prospective turning points in price action so as to allow corrective price moves to neutralize open draw down while being offset by realized profits generated through the aforementioned orders. When positions are released, it is necessary to allow price movement to “breath” and illustrate directional bias. Furthermore, pending orders must be strategically placed at selective points far enough in proximity to important support or resistance levels to ensure any re-entry into the is not made in vain. Therefore, equity will bleed in nominal, successive amounts until the proper, successful corrective point is reached. Under typical market conditions, the average trend-based price movement which would necessitate the employment lasts but 1-3 days and requires no greater than 1-3 releases prior to successfully identifying the correct turning point necessary to remove clients from trades intact. We continue to face a global economic climate of unparalleled proportions since the Great Depression and have chosen to participate within the most volatile, risk prevalent market out of all the financials. As such, and when combined with notoriously thin, unfavorable summer market conditions and a unique disconnect of customary inter market behavioral correlation losses uncharacteristic of standard performance within ideal conditions do occur. Although it will be no consolation to your frustration, it is of paramount importance you understand that we have endured, as a world society and global investors, a first-time global market climate and world economic condition absolutely unmatched in decades. This marks a unique juncture in this Manager’s 3 year record flawless aggressive trading. Based upon our longstanding, personalized communication with one another, I’m confident you will recognize the fact that I am sincerely regretful of having had clients, including yourself, eliminated from market participation. Your ongoing recognition and understanding of current conditions as well as the unwavering state of my dedication with the sincere best interest of clients at heart is both valued and appreciated. For these reasons, I must reiterate that I am genuinely apologetic in having to inform you that the entirety of your risk capital was depleted by the Lion Fund Manager. Should you have any additional questions or concerns regarding these very unfortunate market events, please be sure to follow up with me. I will remain readily available and sincerely dedicated to assuring your inquiries are immediately and thoroughly answered. Wonder what should I do next? Anything I should do. Any advice?